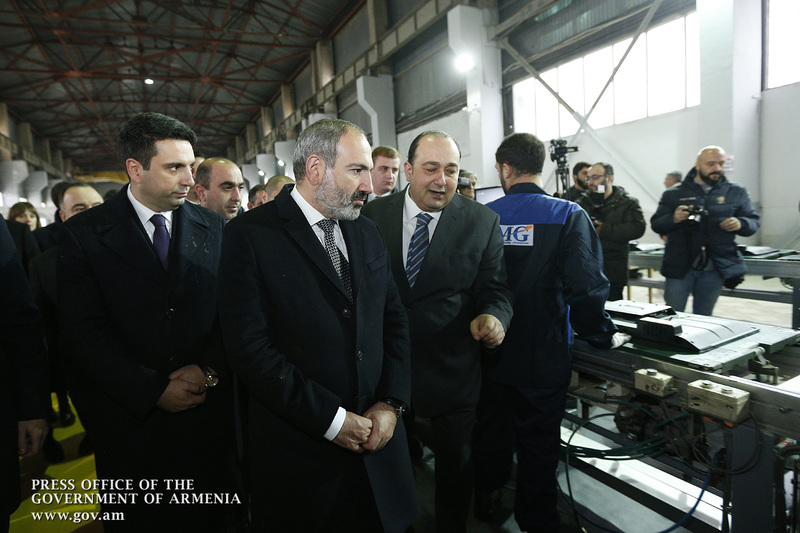 Acting Prime Minister Nikol Pashinyan attended the launch of a plant established by IMG Group CJSC for the production of household appliances in Merdzavan community of Armavir Marz. 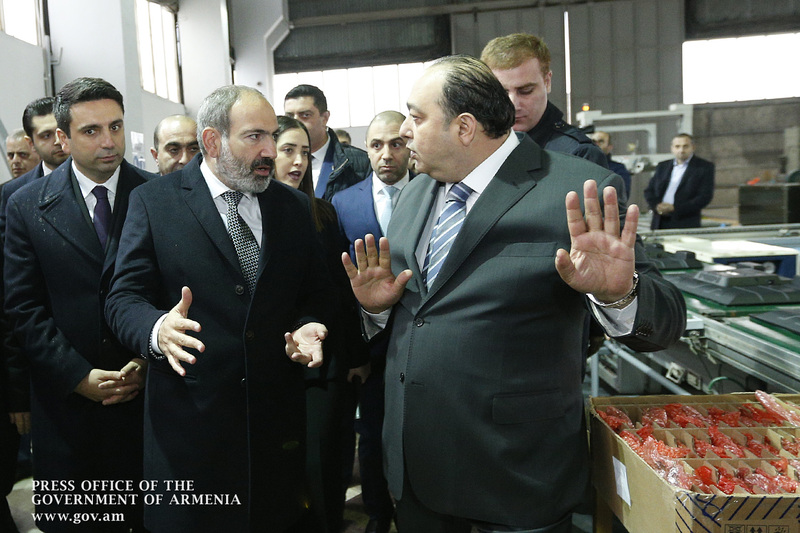 This is an Armenian-Lebanese-Syrian joint venture. 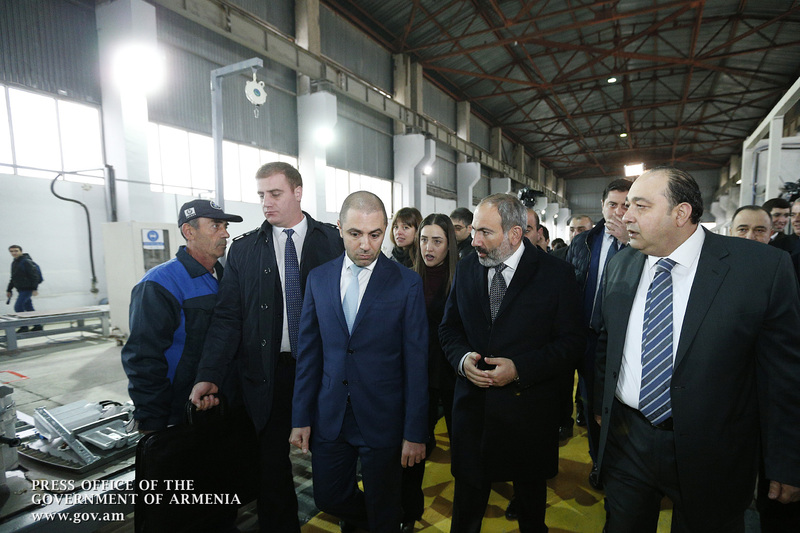 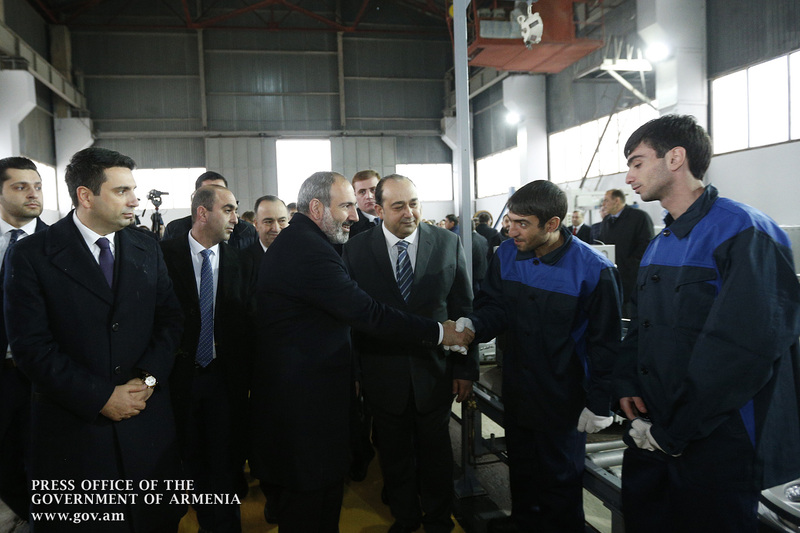 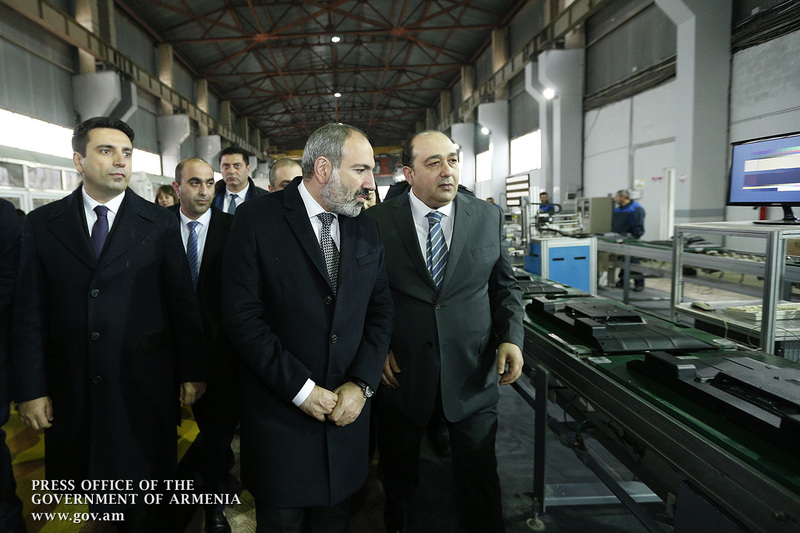 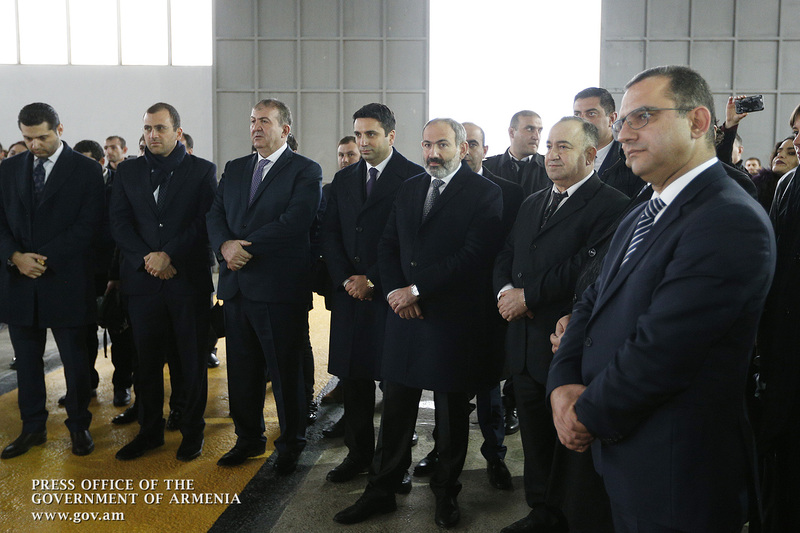 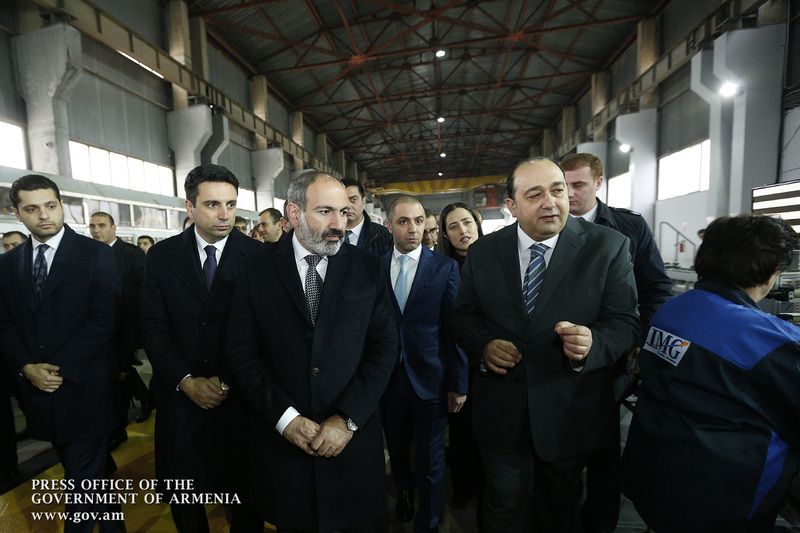 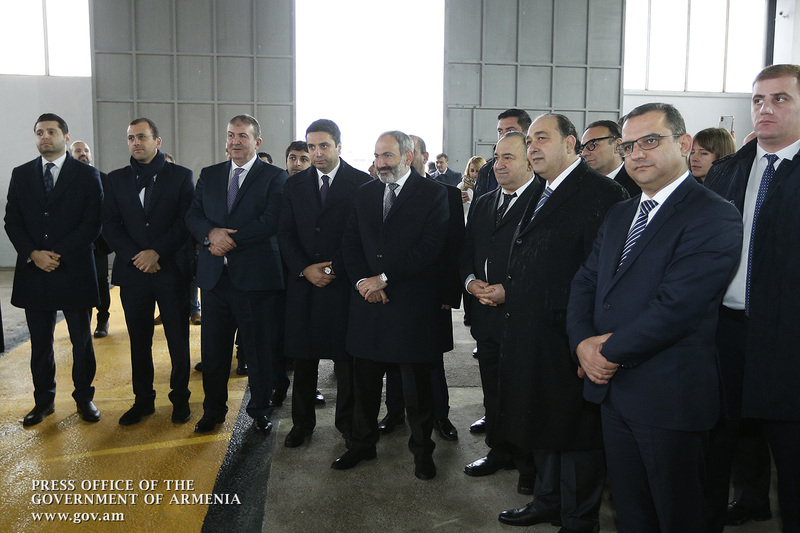 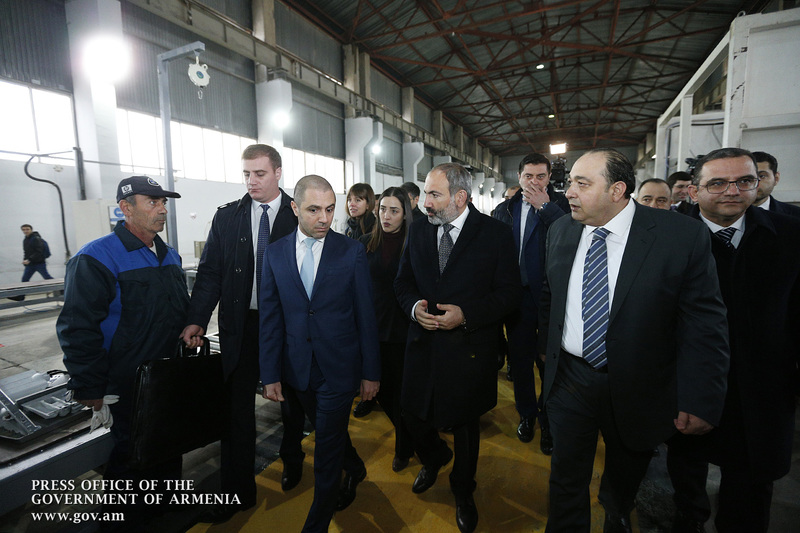 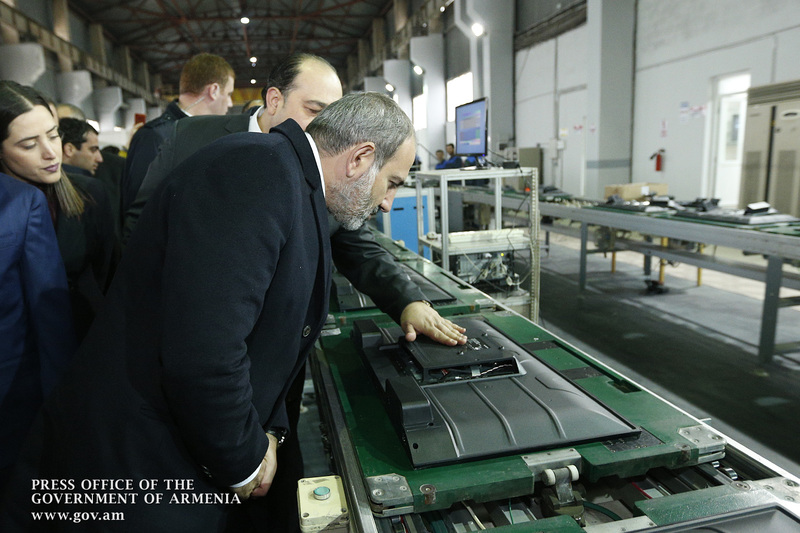 Nikol Pashinyan toured the premises in order to get acquainted with the plant’s equipment, working conditions and future programs. 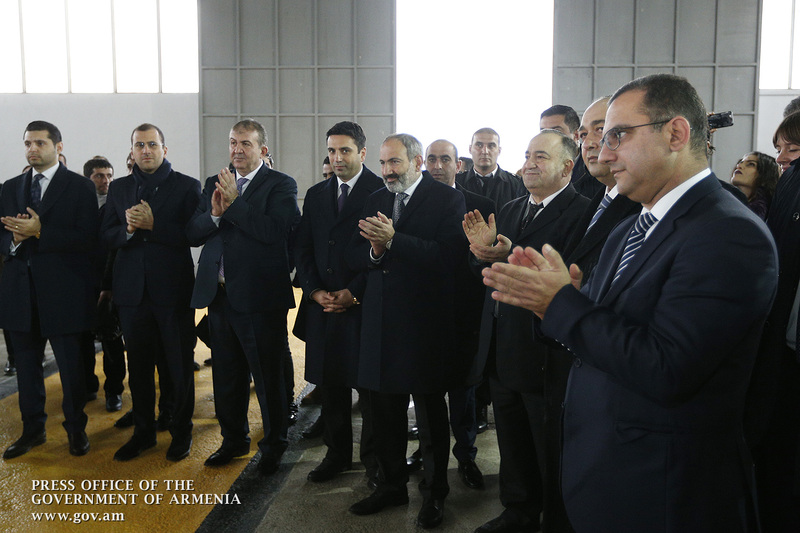 The Acting Premier was told that investments and operating expenses had amounted to USD 4.5 million. 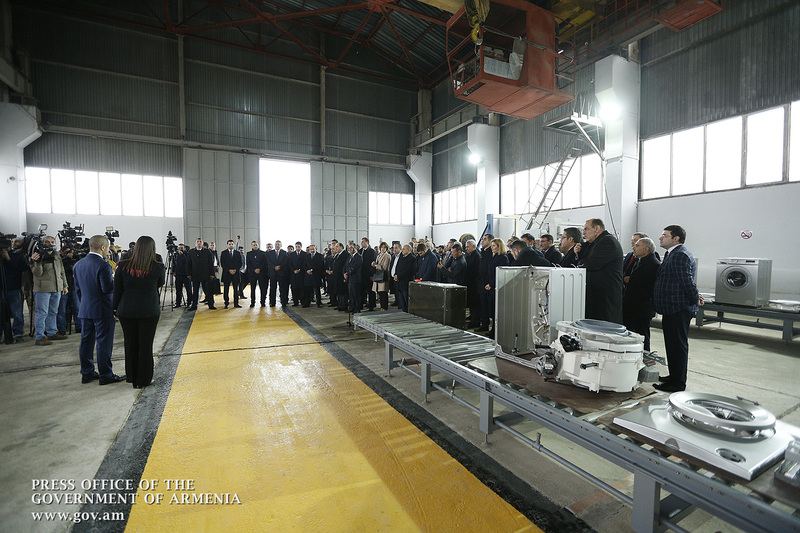 The plant will initially provide 70-80 jobs and will annually produce 126 thousand units of household appliances: TV sets, washing machines, air conditioners, refrigerators and other equipment. 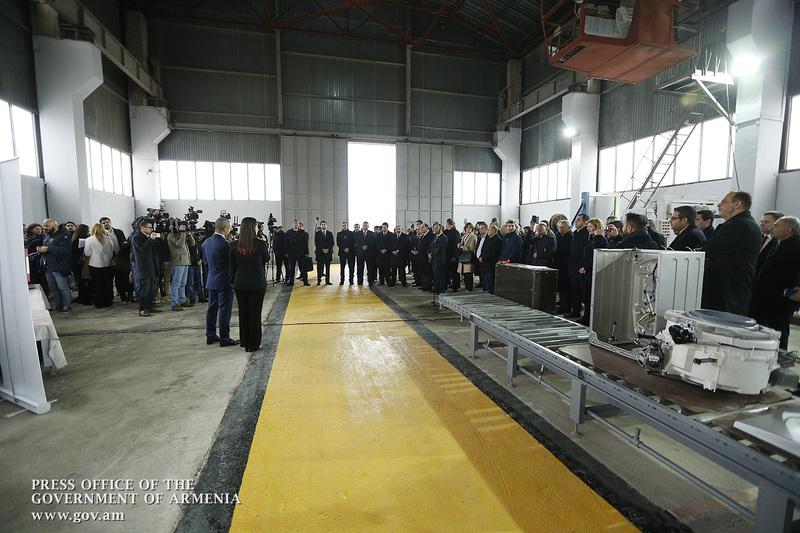 The project will be phased in 3 stages: the first stage (equipment installation) will last 2 years. 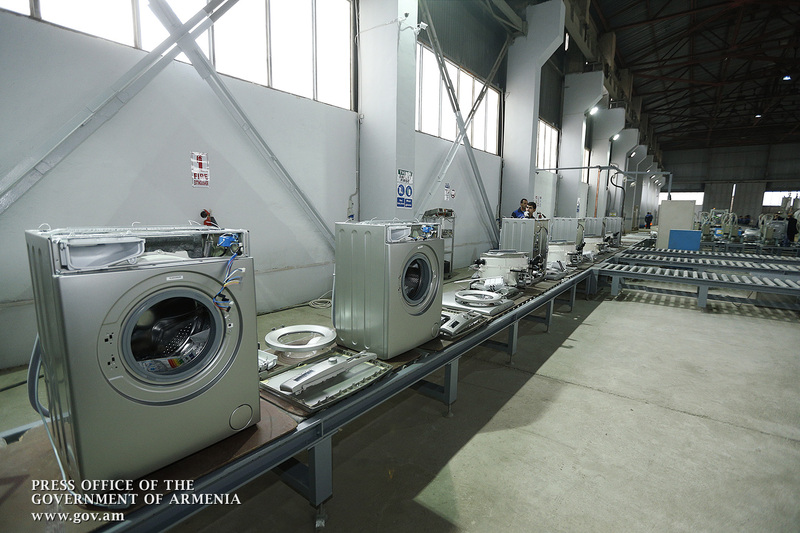 The production process will be launched at the second stage, and the third stage will usher in the full production of home appliances and automation. 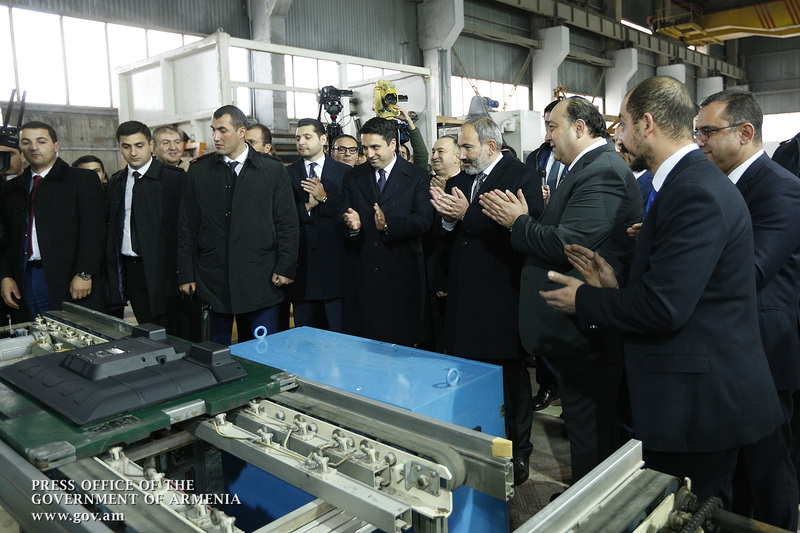 The output will be sold not only on the local market, but also in the regional countries and the CIS. 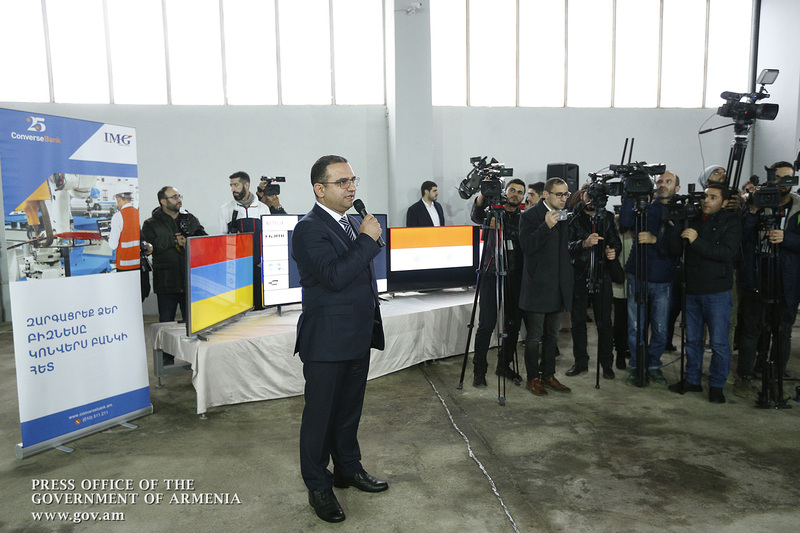 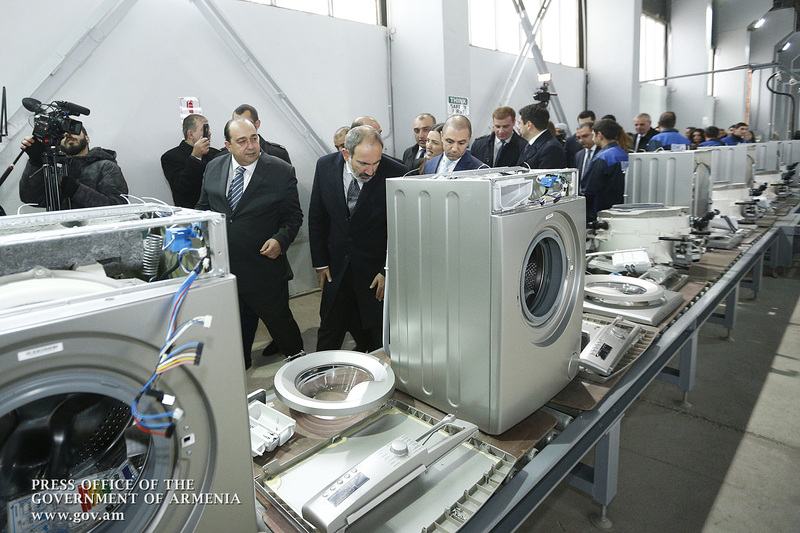 Hailing the establishment of a plant for the production of household appliances in Armenia, Nikol Pashinyan said the Government will continue to support the implementation of investment programs in our country.